IDW & January 2019 Solicitations Spoilers: G.I. Joe Endures As A Real American Hero! IDW and January 2019 Solicitations Spoilers follows. G.I. Joe Endures As A Real American Hero! Solicitation and cover below. “The Cobra’s Venom,” Part 5. Mad scientists, even madder robots, and a small, desperate team of Joes left alone to defeat them at any cost! 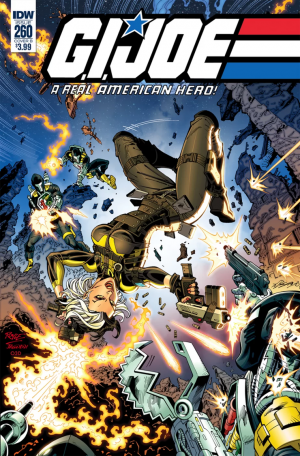 The final chapter in the latest bombastic arc of living legend Larry Hama’s magnificent G.I. Joe: A Real American Hero run! Order 10 copies and get one free variant cover by Jamie Sullivan! – Fifth of five JOE/COBRA vehicle/gear-themed RI covers by Jamie Sullivan!